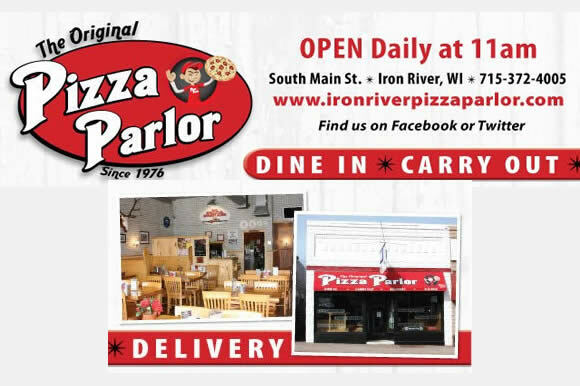 Stop in and enjoy the Iron River Pizza Parlor’s – specialty pizzas – yummy wraps – appetizing side orders – tasty sandwiches – soups and salads – delicious dinners – and sweet treats! We are located in downtown Iron River right on Main Street! The Pizza Parlor offers a full menu for Dine In, Take Out or Delivery. Pizza Parlor has been serving you great pizzas for over 30 years!